As rumours of a Manny Pacquiao versus Floyd Mayweather rematch heat up, the undefeated American insists he will remain undefeated. 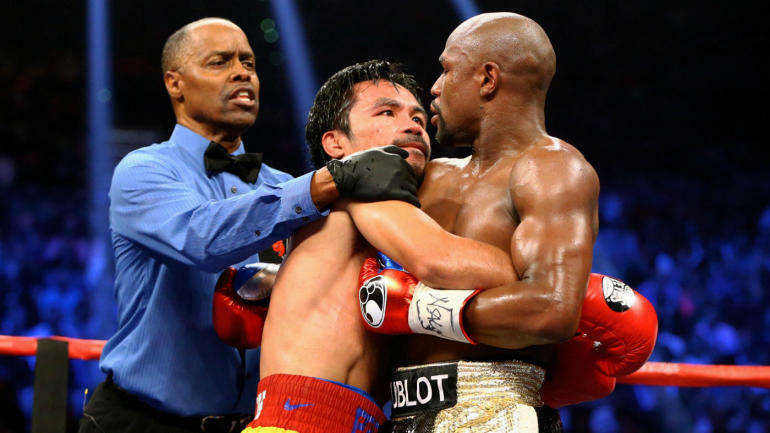 Senator Pacquiao said that he was deep in negotiations with Mayweather for a rematch of their 2015 clash that netted more than USD$600 million. “Negotiations are on-going. There will be updates about the negotiations in one to two weeks’ time,” said Pacquiao in an interview with Rappler.com this week. Mayweather spoke up about the reports when corralled by TMZ whilst out and about in Los Angeles this week. The 42-year-old Mayweather has essentially been retired for the past three-and-a-half years, fighting just once in that time against UFC star and pro boxing debutant Conor McGregor, but he remains boxing’s moneyman. Earlier this week promoter Oscar De La Hoya stated that a rematch with Saul ‘Canelo’ Alvarez could be worth up to $1.5 billion. Mayweather defeated a then 23-year-old Alvarez by majority decision five years ago. “Yeah, yeah, yeah… everybody’s saying something,” Mayweather said. “I don’t worry about that. I already made over a billion! You already know that! Meanwhile Pacquiao’s strength and conditioner Justin Fortune has urged Mayweather to make the rematch with the 40-year-old Pacquiao before it’s too late. “Manny looked good against Broner and maybe, Floyd’s not too keen on risking his undefeated record. That zero in Floyd’s record is important to him. To me, I don’t think it’s that important,” Fortune said to The Philippine Star. “Floyd hasn’t fought a real contender in a while. If the rematch doesn’t happen this year, it may not ever happen. If you wait until next year, they’ll be a year older.